Sometimes we all need reminding. 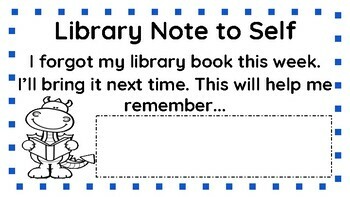 This "Note to Self" will allow the students to take accountability for forgetting his or her book. The students will color or write in the space provided a way that they can remember their book.